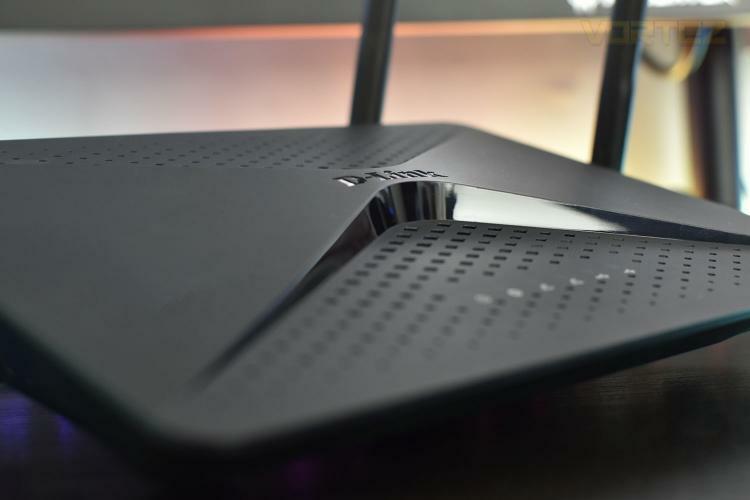 For years now, routers have offered 802.11ac connectivity, requiring manufacturers to invent new methods of increasing speeds. D-Link have included several of those technologies in the EXO AC2600, including dual-band WiFi for simultaneous streams on the 2.4GHz and 5.0GHz frequencies, MU-MIMO to ensure multiple users all receive the fastest possible speeds, Advanced AV SmartBeam to track devices and adjust signals accordingly for enhanced speed and range. Inside the EXO AC2600 is a powerful Broadcom BCM4709C0 1.5GHz dual core processor to boost both wireless and wired performance as well as QoS to prioritise gaming or streaming traffic and DLNA support for media players, TVs and game consoles. The router also features a USB 2.0 and USB 3.0 port for media sharing on your network. To further aid the handling of all of that data, D-Link have furnished the EXO AC2600 with 256MB of RAM and 128MB of flash storage. Currently priced at £79.98 in the UK, the AC2600, on the surface at least, offers incredible performance when compared to much more expensive options. Let’s take a look at ease-of-setup and outright speed in our tests.